Basic Car Area 7A1 is the northwest section of the LAPD Wilshire Division, and the Senior Lead Office (SLO) for the area is Officer Inga Wecker. 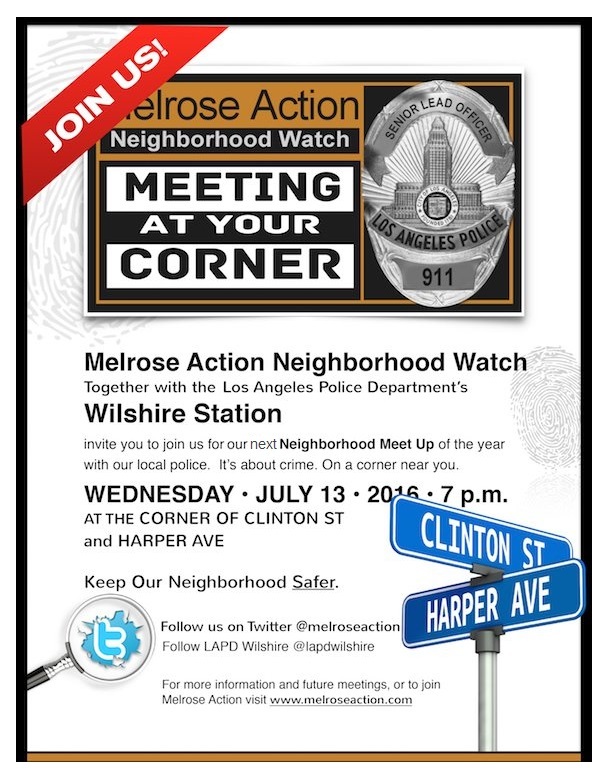 Melrose Action Neighborhood Watch has posted a video of Senior Lead Officer Inga Wecker talking about a range of crime prevention and other safety matters. She also includes more details about representatives from LAPD who will be at this Meeting at Your Corner, so be sure to watch.